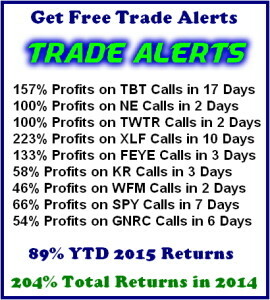 Week 45 produced a gain of $497, bringing our YTD gain up to a new yearly high of $8922. We have 4 open positions using a total of $1667. The open positions in both NE and TWTR are actually the balance of trades that were opened and hit the 100% Up rule the first day. I continue to make trades on the long side of this market while keeping a very close eye on any weakness. I gave up the position in the TBT calls a little early but with good gains in a market that I felt had shifted from oversold to overbought. Even if the Fed does raise rates in December the bonds seem to have already factored it in. A couple of weeks ago I stated that the December 30-year chart (@ 157-158) could test the September lows around 152. We traded the XLF (financials) calls very profitably and kept the TBT (bond short) position. Friday’s low for the Dec. bonds was 151 25/32, just under the support from the Sept. 17th low. I have very little concern about selling too early, as bond yields tend to trend once a new direction has been established. If that has happened, we’ll have plenty of time and chances to participate. The market that is suffering the most seems to be the Gold. Since it provides no yield, it tends to trade lower while rates are rising. You have to own it, and store it, and that just doesn’t make any sense if its price isn’t moving up. The comparison with a US government obligation with a good yield is clearly preference. In looking at the S&P500 chart it seems to me that this rally straight up from the double bottom low in September @ 1871 has run its course. Even though we keep grinding higher we have not had more than a 3-4 day consolidation or pullback for 6 weeks. The list of new highs has diminished and the rally keeps getting more and more narrow. I’m not bearish, but as Mike discusses in the Cycles section today we are coming into a period of under- performance for the next week or so. For that reason I am much more likely to favor the short side, or at least cut back on new long positions. I was clearly too early on the IWM (Russell) short last week and it caused the only loss for the week. The politics are a non-starter for me. Of course we are going to see many of the possible candidates fall by the wayside. The Sunday shows had very little to even discuss this week. On the international front there are a continuously growing number of conflicts involving Russia, Syria, and now Egypt. There is no shortage of issues that could cause a downdraft back from the close @ 2099 to the support around 2050 or even 2020. So, between the cycles and the overbought nature of the market, I’m cautious..CAM. 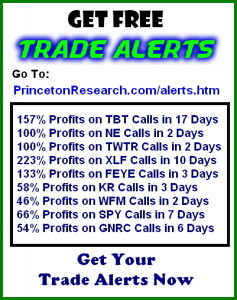 12 TBT Calls were sold in two tranches: first on the Nov 3rd gaining $ 450. 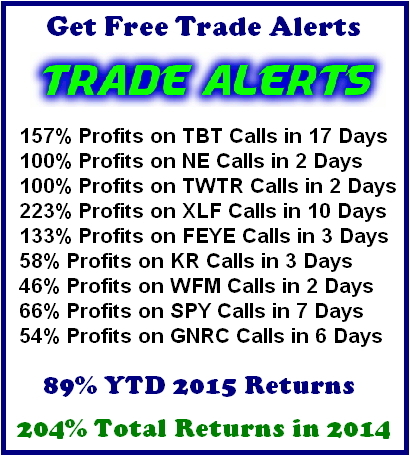 IWM Puts were sold the same day bought on Nov 2nd losing $ 394. SPXU Nov 33 Covered Calls were bought at $ 0.26 for a debit to the account of 52. The options total for the week was a profit of $ 942. EIGI making $ 1014 totaling $ 2,060. For the year to date we have gains of $ 23,519. Open position losses decreased by $ 277 to $ 14,294. 12 ETSY; 10 NE; 6 TWTR and 16 SUN. Treasuries suffered heavy losses last week leading up to a very surprising jobs report and then a big jolt upon the announcement of huge employment gains well above expectations. The Fed fund futures now indicate a 70% chance of a rate hike at the December meeting, up from 56% prior to the release. The yield curve steepened somewhat, with the 2-year note holding up better than the other maturities. The U.S. Dollar Index spiked immediately after the announcement trading up 1.26% to 99.17. St Louis Fed President James Bullard said after the release that he saw a probability of a December rate hike at 80%. He does not currently vote on the FOMC but will vote is 2016. Stocks on the other hand had a positive week led by the Russell 2000 gaining 37.88 points to 1199.75 up 3.26%. 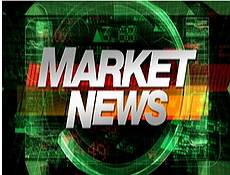 Nasdaq followed with a gain of 93.37 points to 5147.12, up 1.85%. The Dow added 246.79 points to 17.910.33, up 1.40%. The Transportation Index gained 113.36 points to 8,241.43, up 1.39% while the S&P 500 added 19.84 points to 2099.20 positive by 0.95%.The lesser known QQQ rallied to a new all- time high at 114.79 up 1.3% on the week. The index is led by Apple comprising 12.83% of the index. Microsoft is next at 8.14%; then Amazon 5.58%; Alphabet 4.68% Facebook 4.58%. Those fab five stocks comprise 36% of the QQQ Index. As shown below, the earnings beat rate (% of companies that have beaten consensus analyst EPS estimates) is now at 63%, which would be the strongest reading we’ve seen since Q4 2010, if it holds. Top line revenues have not kept up with earnings which together with the election year typical weakness could cause concern as the market tries to take out the highs set in May. Nonfarm payrolls increased by 271,000 (Briefing.com consensus 181,000). September nonfarm payrolls revised to 137,000 from 142,000. August nonfarm payrolls revised to 153,000 from 136,000. Private sector payrolls increased by 268,000 (Briefing.com consensus 160,000). September private sector payrolls revised to 149,000 from 118,000. August private sector payrolls revised to 125,000 from 100,000. Unemployment rate was 5.0% (Briefing.com consensus 5.1%) versus 5.1% in September. The U6 unemployment rate, which accounts for the total unemployed plus persons marginally attached to the labor force and the underemployed, was 9.8% versus 10.0% in September. Persons unemployed for 27 weeks or more accounted for 26.8% of the unemployed versus 26.6% in September. Average hourly earnings increased 0.4% (Briefing.com consensus 0.2%) after being unchanged in September. Aggregate earnings increased 0.6%, which is a good portent for consumer spending potential. Over the last 12 months, average hourly earnings have risen 2.5% versus 2.3% in September. The average workweek was 34.5 hours (Briefing.com consensus 34.5) versus 34.5 hours in September. Manufacturing workweek increased 0.1 hours to 40.7 hours. Factory overtime increased 0.1 hours to 3.3 hours. The labor force participation rate was unchanged at 62.4% the same as in September. After plenty of economic releases created doubts about the momentum of the US recovery, including the September employment report, the October employment report will solidify the view that the US economy is holding up just fine amid the stresses of economic slowdowns abroad. Consumer credit increased by $ 28.9 billion in September, up from a $ 16 billion increase in August. The Briefing.com consensus expected consumer credit to increase by $ 18.0 billion. The U.S. trade deficit narrowed in September to $40.8 billion from an upwardly revised $48.0 billion (from -$48.3 bln) in August. That was better than the $43.0 billion deficit projected by the Briefing.com consensus. The improvement in September was owed to imports being $4.2 billion less than August imports and exports being $3.0 billion more than August exports. The decrease in the goods and services deficit was paced by a $7.3 billion decrease in the goods deficit and a $0.1 billion decrease in the services surplus. The drop in imports was surprisingly broad-based given the dollar’s strength and didn’t exactly connote an element of strong demand in the US. The bump in exports came primarily from consumer goods (+$1.28 bln), which was led by increases in artwork, jewelry, and cell phones, and a $0.89 billion increase in capital goods, excluding autos. Imports of industrial supplies and materials fell by $1.58 billion, the bulk of which was related to crude oil (-$1.28 bln), capital goods dropped by $1.04 billion, auto imports decreased by $0.84 billion, consumer goods declined by $0.44 billion, and imports of other goods were down $0.49 billion. 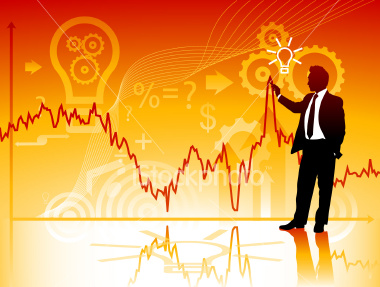 Way back in 1986 when Yale Hirsch, creator of the Stock Trader’s Almanac, first published his discovery that the market makes the majority of it gains in just six months of the year, he simple dubbed the pattern the “Best Six Months.” By analyzing monthly performance figures for DJIA and S&P 500 he noted a clear pattern that repeated rather consistently year after year, the bulk of the markets advance was made in the months from November to April. These six months combined have produced an average DJIA gain of 7.5% since 1950 compared to an average gain of just 0.4% during the months May to October. This market pattern is often associated with “Sell in May” or referred to as the Halloween indicator. We prefer the “Best Six Months” and the period just started this past Monday. October 2015 was the best month for the market since October 2011. 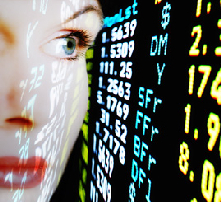 DJIA advanced 8.5%, S&P 8.3%, NASDAQ 9.4% and Russell 2000 was up 5.6%. DJIA gained 1379.54 point in the month, just the third month in history to eclipse 1000 points. October 2011 and April 1999 were the other two. Stellar performance like this tends to spur substantial debate. What happens next? Has the market borrowed from November and December? What will the rest of the year look like? We first looked at the subject on October 14 when S&P 500 was up 4.4% and then took a second look on October 26 when S&P 500 was closing in on an 8% gain. That second look included a narrowly focused historical look at the 30 trading days before the first trading day in November and the 60 trading days after. That research showed that past stellar Octobers were followed by below average gains for November to December of 1.9%. It also highlighted a rather tepid November and first half of December that eventually lead to a solid 7% move from around mid-December to early January. In the next two charts, DJIA, S&P 500, NASDAQ and Russell 2000 average performance in November is plotted. The first chart is the most recent 21-year period spanning 1994 to 2014. In this chart, November opens strong, peaks around the fourth trading day, trades lower till the eighth trading day, bounces mid-month, moves sideways to lower during the week before Thanksgiving then higher to close out the month with gains ranging from just under 1.5% for Russell 2000 to over 2% for DJIA. In a typical pre-election year, like 2015, November’s pattern is similar in shape, but average gains dwindle. NASDAQ (since 1971) and Russell 2000 (since 1979) lead and finish with a gain of slightly less than 1%. DJIA and S&P 500 finish the month with average gains of just 0.29%. The combination of a big October gain and typical pre-election weakness in November suggests a tepid month this time around. However, this combo also presents an opportunity to buy any weakness ahead of Thanksgiving or around mid-December for a potentially solid rally in January 2016. No new sector trades begin in the month of November. Oil’s seasonal weak period that typically begins in September does come to an end at the start of November. PowerShares DB Energy (DBE) was shorted as a way to take advantage of seasonal weakness in heating oil which overlapped with oil stock weakness. DBE reached a low of 12.83 on October 27 and has been rallying since. At yesterday’s close this short trade was barely positive and today’s big move is going to result in the position being stopped out. Recent oil market volatility suggests there may be an opportunity to exit this short trade closer to break even than at today’s level. Officially, DBE’s final return will calculated in the next ETF Portfolio update. Previously mentioned October strength has lifted the ETF Portfolio Open Position Average to 7.7%. iShares US Tech (IYW), iShares DJ US Telecom (IYZ), SPDR Materials (XLB) and iShares NASDAQ Biotech (IBB) are all showing double-digits gains and are currently on Hold. SPDR Financial (XLF) and SPDR Healthcare (XLV) are up 6.7% and 7.4% respectively and are also on Hold. Core four positions in DIA, IWM, QQQ and SPY, used to trade our Tactical Seasonal Switching Strategy (Best Six/Eight Months) are currently up 6.4% on average and are on Hold as well. REPR is now a member of the OTCQX, a leading U.S. Stock Exchange. Repro-Med Systems is a unique U.S. manufacturer of proprietary and patented medical devices world-wide which maintains offices and manufacturing facilities in Chester, NY. Principal products include the Freedom 60 Syringe Infusion System, RMS High-Flo Subcutaneous Safety Needle Sets and the RES-Q-VAC Medical Suctioning Pump. In addition to being regulated by the FDA which has the authority to approve medical devices for marketing in the U.S., RMS complies with ISO International standards for quality development and manufacturing. RMS Medical Products is a d/b/a of Repro-Med Systems, Inc which was founded in 1980. Enzo Biochem ( ENZ 3.92 ) Bought at our price of $ 2.78. The “Company” or “ProtoKinetix” (www.protokinetix.com) trading at $ 0.0521 low and 0.0969 high on Friday has a huge upside potential. They are in collaboration with the James Shapiro laboratory at the University of Alberta. The sole intention of the collaboration is to develop a commercial product pipeline of therapeutic applications for the AAGP™ family of molecules. is pleased to announce that the company’s management team will host an Investor Presentation/Reception at the historic Golden Nugget in Las Vegas, NV on November 15, followed by a tour of the Van Deemen gold project outside of Kingman, Arizona on November 16. Key topics for discussion will be the recently announced technical report/resource estimate, ongoing permitting efforts and financing. The management team will be available to meet with investors and answer questions regarding the project. At the mine tour, we will be fortunate to have Bud Hillemeyer, one of the original stake holders in the Van Deemen project in the 1980s and the 2010 recipient of prestigious PDAC Thayer Lindsley International Mineral Discoveries Award, speak to investors on his involvement with the Van Deemen project. For additional details and to sign up for either the presentation or tour, visit https://www.regonline.com/ilstinvestormeeting_1773285. Both events are free, however RSVP is required. Please note that space for the mine tour is limited, therefore your earliest confirmation is appreciated. HDGE is the BEAR hedge. We now want to be long stocks at their respective limits. Buy Intel on dips and Arcelor Mital. We bought CVS and were stoped out for a loss of 3.30 points. We always use stops. Keep losses small. We are long Southwest Air (LUV) at 30.50, United Rentals at 64.34 and Sunoco at 36.08 We bought Virgin Air (VA) at 32.20. Please check on the previous weekly market letters if there are questions. We are long in Diana Shipping at 6.60. 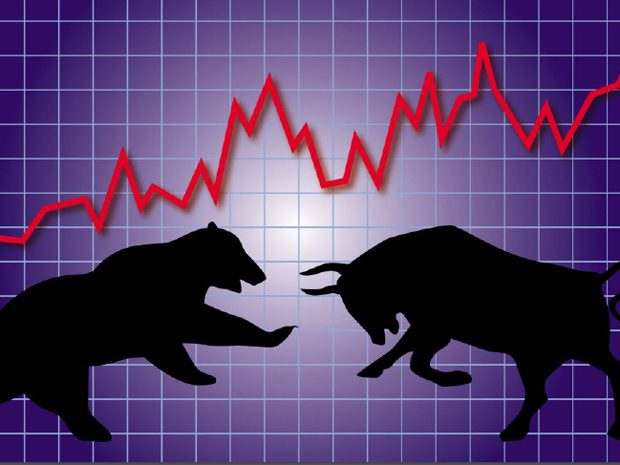 DSX is a bear market opportunity with a small risk. We are long Bank of America at 15.65. and would use 15.02 as a stop loss . BAC looks to have made a double bottom at the 14.63 area.